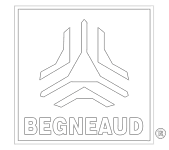 As an industry innovator, BEGNEAUD capitalizes on its experience to optimize production of client jobs, making creation and replication of parts and projects faster, easier, and more efficient. By optimizing client projects to reduce multiple-part assemblies into a single-piece design, BEGNEAUD reduces part count and cost for the client. Resulting parts and projects are stronger, lighter, and more durable than comparable multi-part pieces. Design for assembly manufacturing (DFA) improves assembly time and costs for clients, reducing multiple-part products to the fewest number of parts possible and mistake-proofing each component, a process called poka-yoke, for either automated or manual assembly. Kitting addresses a specific need for clients seeking production and manufacturing product components, with little time and effort to construct the end product once it reaches the client. BEGNEAUD's kitting designs include slot and tab joints and connections, as well as location-specific part etching, allowing for tool-less ease of assembly. All of the parts of each of the client's end product are produced, packed, and shipped together as one discrete kit, eliminating the necessity for part-matching and complex assembly drawings. Utilizing the best equipment in the industry, BEGNEAUD's punch processing can run 24/7 to get your projects in and out. With six industry-leading TRUMPF laser machines, BEGNEAUD offers the highest quality laser cutting and metal manufacturing capabilities in the South. BEGNEAUD's commitment to quality begins with its highly trained staff of TIG and MIG welders whose careful attention to detail is evident in every client project. Small or large, BEGNEAUD custom fabricates the highest quality enclosures for all industries. Wind-resistant, water-tight, anodized, or etched, no capability is beyond our reach. BEGNEAUD skillfully designs, produces, and assembles its own line of custom laser cut, etched, and punched art and awards. No other manufacturing facility offers a higher level of comprehensive creative expertise.